Located in central Alberta, just a leisurely drive 30 minutes east of Edmonton, Beaver County starts in the Beaver Hills Cooking Lake Moraine and extends east for about 120 km. Home to the Towns of Tofield and Viking, the Villages of Ryley and Holden, and the Hamlets of Bruce and Kinsella - our community offers a quality lifestyle with a unique blend of country and urban living. Ideally located for your family or business, Beaver County is served by two major transportation routes, Highways 14 and 36, and is home to two business parks. A diversified tax base, ranging from acreage development on the west, to mixed farming in the centre and east, and oil and gas development in the east, has played an important role in keeping Beaver County a viable community. Plus, our unique Ag-Tourism, cultural and natural attractions will provide you a memorable experience that’s second to none. As you plan your next adventure in work or life, we welcome you. 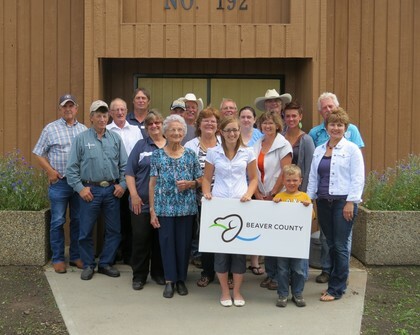 For more information about Beaver County, please contact (780) 663-3730.